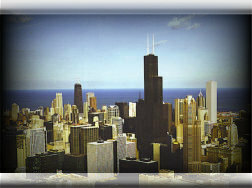 Graffiti Blasters® has been serving the Chicagoland area for over 25 years. Established in 1985 and consider ourselves to be the pioneers in the graffiti removal business. We have a variety of unique and diverse solutions to the keep up with the growing problem of graffiti. Also, we have kept up with the taggers and the problems they tend to create. Specializing in masonry cleaning using chemically balanced solutions for all the types of brick surfaces. All brick faces are different than others. There are other companies out there causing permanent damage by not using the right formulas. Also, using too much pressure can blow out the mortar joints holding the bricks together or damage the face altogether. We have a good reputation of no damage and thousands of satisfied customers. We also have a new service as of a few years ago, with respect to glass. The taggers have moved toward a type of graffiti called "etching". It's a form of graffiti using acid to embed their taggs on glass surfaces. This is a very aggressive form of graffiti vandalism, and cannot be easily removed. The liquid acid melts into the glass and leaves a marked stain. We have developed a solution to this problem successfully. This is one option that a customer has, vs. replacement of the entire glass window, door, storefront, etc. Our fees are reasonable, and insurance companies would rather repair than replace the etched glass. We also have another service, with regards to "mobile graffiti" trucks, and trains, or other moving vehicles, which can be used for advertising the taggers logos, or other messages. At the present time, we are working on different types of formulas. Each vehicle is different, and use various types of paint coatings and various colors. With customers in mind, we are looking for the best solutions at the lowest prices. Our services are available from sunrise to sunset daily, with respect for Sundays. Thank You for visiting our site.